The act of creating is an immensely powerful and authentic way to engage people. The challenge is crafting a design experience that tells the story of an event or brand, and fits the audience at hand. MakeLab is a laboratory for live-fabrication, with a team capable of experiences globally. 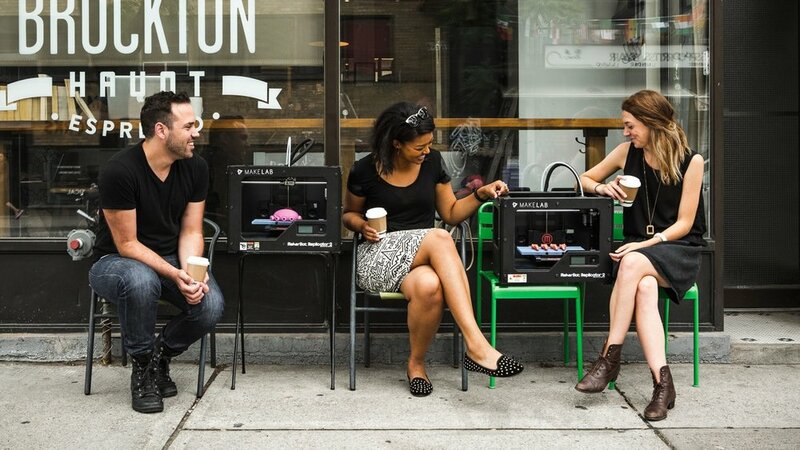 We began our studio by taking 3D printers to a bar and teaching design until last call. We’ve since taken all our tools out of the lab, inventing ways to spark wonder and creativity in unexpected places. This ain’t your typical photo booth. 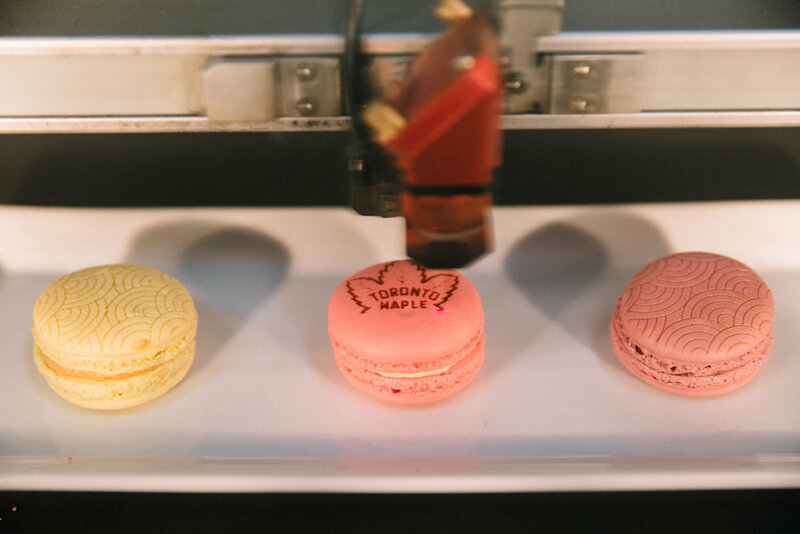 We bring to your event our laser cutting and engraving machine usually found only in architecture and design studios, and use it to laser-caramelize photos onto macarons and cookies. The machine can cut through wood and metal, but with some magically precise settings, we can get it to toast the tops of confections. There's no ink involved — just lasers! We bring an architecture-grade laser cutting and engraving machine on site to your event. The machine can cut through wooden objects, and engrave a wide variety of items. Guests are greeted by our team, and guided through a quick design experience on our sleek interactive tablets. Guests can design freehand, or drag and drop from pre-made templates and elements. When ready, artwork is sent to the laser where guests watch as their creation is laser-fabricated into a gorgeous piece. Create a colourful visual anchor at your event with a giant light table. 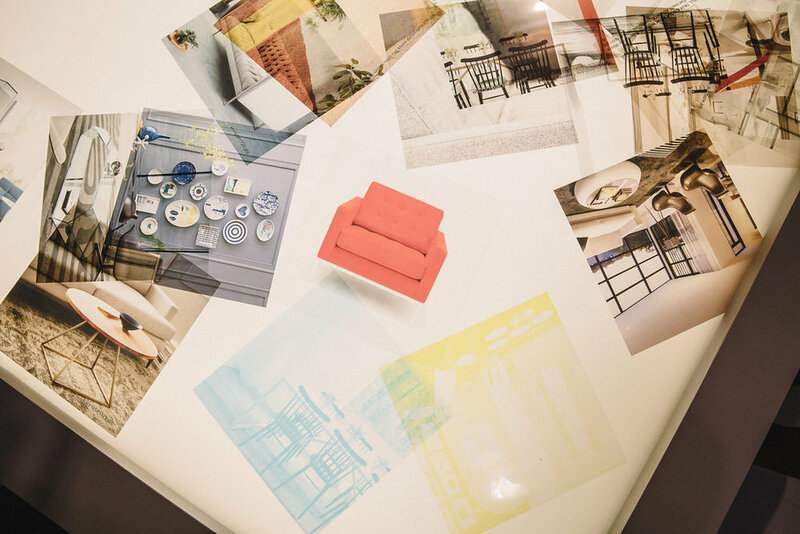 Up to 6 guests at a time mix and match physical translucent photo layers and filters to create their own analog instagrams. The MakeLab design team can use any photos you wish, or even add custom messaging. When done, guests can place their creation on MakeLab’s DIY step-and-repeat projector and take a photo against their artwork creating the perfect custom photo backdrop. Capture the imagination of guests with our giant 10ft-wide digital colouring book. Our design team will meet with you in advance to design custom pages. At your event, guests are encouraged by the MakeLab team to grab special digital spray paint cans and colour in the pages. Paint can be blended like real spray paint to allow for anything from simple colouring-in to intricate mural art. 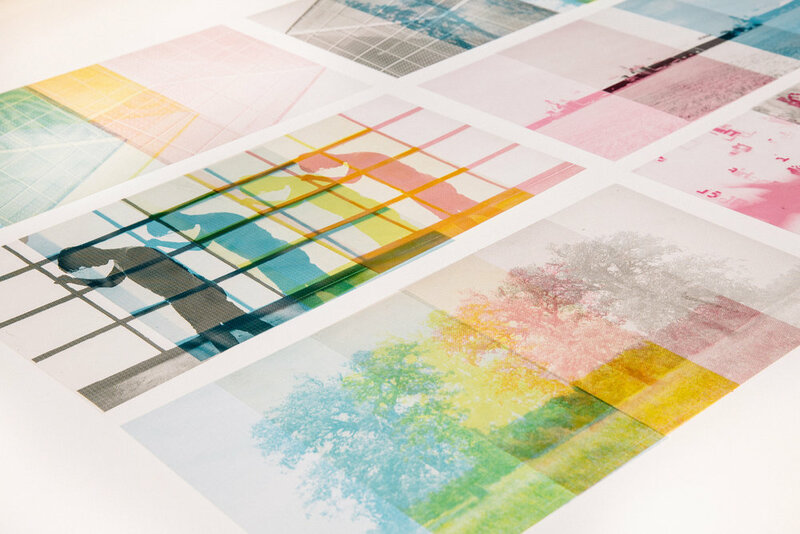 Finished pages can be shared via email, or polaroid-printed as a personal takeaway. Tell us about your event and we'll put together a quote that's just right for you. 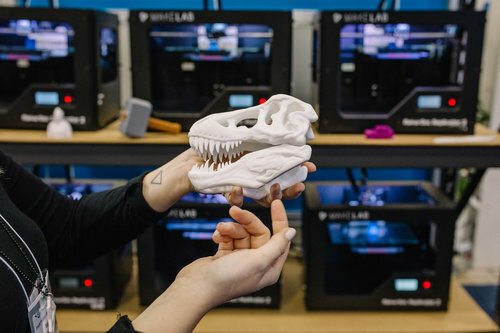 We bring our fleet of 3D printers to your event and let people create and print. MakeLab's design team guides guests through five-minute design experiences on sleek computer tablets. When ready, guests get to watch and photograph their creation as it's printed into reality. This is a spectacular experience in any environment, as most people have never seen 3D printing, let alone had the chance to design something themselves. 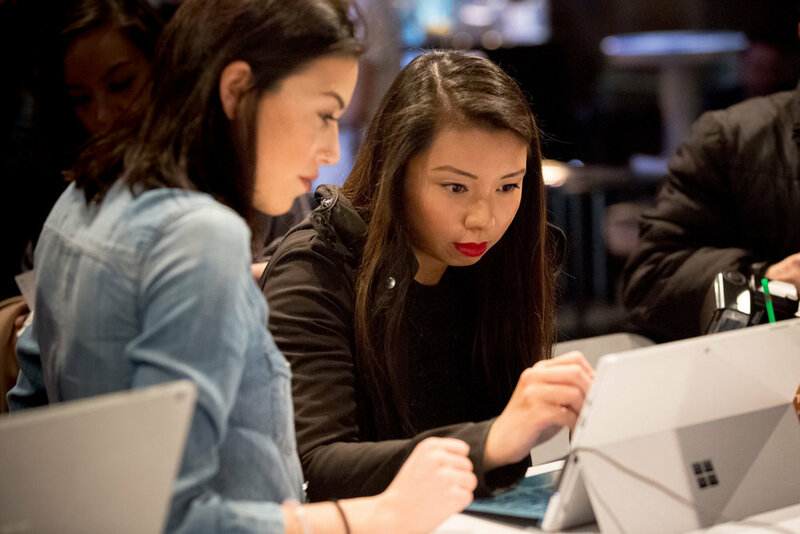 We love a challenge and to think outside the box when it comes to our technologies and ways in which guests can interact, create and engage. If you have a specific theme, event or idea in mind - drop us a line [hello@makelab.ca] and we are more then happy to jump into the brainstorming with you!